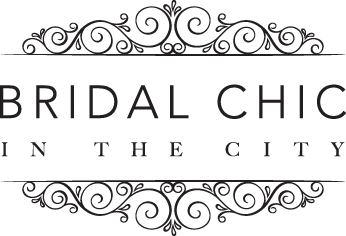 Bridal Chic – Should You Invest Money in a Diamond Wedding Ring? A standard wedding ring is either made of gold or silver. We say standard because so many people opt for the simplest of design that it has become the standard and the first option for many wedding planes. However, there are alternatives that the newlyweds should be made aware of. For instance, diamond wedding rings set people off from buying them because they believe that these rings have a huge price tag on them. Tying the knot shouldn’t be all about the finances, but in the world of today, money is an issue. Since we are discussing economics, we will try to show you that a diamond wedding ring can be something to show to your friends and at the same time be a wise investment rather than a one-off expenditure. When thinking about the price you are willing to pay for a solid diamond wedding ring, you have to be realistic. These prices are usually quite high, so a good knowledge of your own finances is a must. This doesn’t mean that you cannot get a bank loan; it just means that you have to calculate the interest rate and the installments you can afford. Other factors to take into consideration are the monthly amount you are presently earning, your current expenses, and your savings account. The latter should not be skipped, because it is better to spend any money you have on your wedding than to save it for a rainy day. Also, if you own or work for a prosperous company and expect your income to significantly increase in the near future, you could spend an extra buck that you don’t have at your disposal right now. How to choose the right ring? The main thing about diamond rings is their price which is measured in thousands of dollars in Australia alone. But believe it or not, when buying diamonds for a wedding ring, price is not the deciding factor. They are a token of love and commitment that should remain precisely that: a symbol. You wouldn’t want both of you to struggle financially just because you purchased diamond rings that you simply cannot afford. Yes, a diamond wedding ring sits well on the bride’s hand, but is that really worth overspending? This doesn’t mean that you should give up on diamond wedding rings altogether, but rather to stay within your preset budget we discussed earlier. Newlyweds are not investors, nor are they collectors of diamonds, but they should know a thing or two about the type of ring they are about to purchase. Nowadays, diamonds are popular with investors who are slowly turning away from gold as a safe investment. According to the data available to an Australian diamond brokerage, for the last 15 years the value of diamonds had gone up by 14% annually and it is still on the rise. A pink diamond investment is especially lucrative, as their market value is expected to skyrocket by 2021, because the largest mine in Western Australia is due to close then, decreasing the supply of this particular diamond by 90%. You may not perceive your wedding ring as an investment, but in reality it is precisely that. From the day of your wedding its value is going to go only one way: upwards. Since diamonds are tradeable, that means that their price is not fixed. Although on a steady rise, the price of diamonds will fluctuate from time to time, giving you room to negotiate a lower price. Don’t buy during peak season which coincides with holidays such as Thanksgiving or Valentine’s Day. Also, before you set out to make the purchase be sure to read a little bit about the diamonds themselves. Be knowledgeable about their carat, clarity, cut, and color, or “the four Cs” as expert refer to these parameters. In addition, chose well the type of ring the diamond in going to go on. It can be simple without many engravings or it can have a halo-like rim to make the diamond appear larger and stick out. This way, the bling-bling effect is further amplified. Once you have the diamond, you need to choose a good jeweler that will make the final wedding ring. This is often tricky, as most people require this service only once in a lifetime, so they do not know any good jewelers. Your first go-to address should be other married couples and their respective experiences. Make sure you take a good look of the jeweler’s portfolio to see if you like their work. Also, if they are willing to discuss the design with you that’s an indication they are dedicated to their job. In the end, it all comes down to how much you are willing to spend and how much you can afford. Having read everything stated here, we hope you are going to take into consideration a diamond wedding ring as it can fit into your budget.